There are millions of independent artists in the world today, and only a handful ever make it. This package empowers the average artist with the tools they need to start a successful online music career and business. This will help the artist learn how to better utilize social media and engage their fan base to earn a potential residual income to fuel their musical passions. Complete the form below, then click "Submit Form & Add To Cart". After purchasing the Artist Development Package, Conquer Entertainment will send you the needed documents allowing us to collect all the necessary information for your assessment. You will also receive a call from the Conquer Entertainment Team to answer any questions you have getting started. These Terms and Conditions (this "Agreement") are for artists seeking to subscribe to services offered by Conquer Entertainment, Inc. and its affiliates/partners (collectively, "Conquer," "We," "Us," or "Our") as part of a solution that allows upcoming and independent artists to promote and sell their songs without being contracted to a record label, including, but not limited to, the maPayment service ("maPayment"), tools that allow the artists to upload and sell their music (the "Music Distribution Services"), tools that allow the artists to post their tour schedule (the "Touring Services"), tools that allow artists to advertise and sell merchandise, and any other services made available pursuant to this Agreement (all, collectively, the "Services"). If you ("you" or "Artist") wants to use the Services, Artist must accept these Terms and Conditions without change. BY REGISTERING FOR AND USING THE SERVICES, ARTIST AGREES TO BE BOUND BY THESE TERMS AND CONDITIONS. BY CLICKING THE "I ACCEPT" OR "I AGREE" BUTTON, OR BY UTILIZING OR ALLOWING OTHER PERSONS TO UTILIZE THE SERVICES PROVIDED BY CONQUER IN ANY WAY, ARTIST AGREES TO BE BOUND BY THIS AGREEMENT. Use of the Services is limited to parties that lawfully can enter into and form contracts under applicable law. For example, minors are not allowed to use the Services. By accepting the terms of this Agreement, Artist represents and warrants that: (a) it is either an individual, company, or business located within the United States or Canada and has all the requisite legal and regulatory authority to enter into and be bound by this Agreement, (b) it authorizes the representatives initiating and accessing the Services to do so on its behalf, (c) it will restrict such representatives to persons 18 years old or older, (d) it agrees to provide true, accurate, current and complete information about Artist as requested by Conquer; and (e) it agrees to maintain and update this information to keep it true, accurate, current and complete. If any information provided by Artist is untrue, inaccurate, not current, or incomplete, Conquer has the right to terminate Artist's account and refuse any and all current or future use of the Services . Abide by any federal, state, county and local laws, rules and regulations pertaining to this Agreement . At your expense, make, execute or file all reports and obtain all licenses as are required by law or public authority with respect to this Agreement . 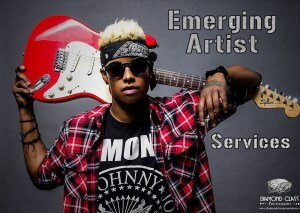 With respect to any Touring Services provided hereunder, Artist acknowledges that Conquer is not required pursuant to this Agreement to procure employment or engagements for Artist and that Conquer is not otherwise rendering any services or advice that would require Conquer to be licensed as an employment or booking agency in any state or other jurisdiction . Use of Conquer Intellectual Property . License to the Services . Conquer hereby grants Artist a non - exclusive, non - transferable license to use the Services in object code form only on a server controlled by Conquer or its affiliates for the sole purpose of the activities contemplated by these Terms and Conditions . Except as otherwise provided herein, Artist is not being granted any right(i) to copy the Services or any component portion thereof, including but not limited to source code, text, graphics, trademarks, logos, photographs, audio / visual materials, or other content created by Conquer in connection with the Services(collectively, "Conquer Materials") or (ii) to use the Conquer Materials on computers other than a server controlled by Conquer and its affiliates . Use of the Services . Artist also acknowledges and agrees that the Services are intended for access and use by means of web browsing software and that Conquer does not commit to support any particular browsing platform . Conquer reserves the right at any time to revise and modify the Services, release subsequent versions thereof and to alter features, specifications, capabilities, functions and other characteristics of the Services, without additional notice to Artist . If any revision or modification to the Services materially changes Artist's ability to conduct business, Artist will be notified by e-mail, and Artist's sole remedy is to cease its use of the Services . Use of Conquer Materials . Artist acknowledges and agrees that the Conquer Materials are protected by copyright, trademark, patent, or other proprietary rights and laws and may not be used in any manner other than as specified in this Section 3 or as otherwise permitted by Conquer in writing . Use of Conquer Trademarks . Artist may use the names CONQUER, CONQUER ENTERTAINMENT, or UNLABEL, and utilize the Conquer - approved logo(the "Conquer Trademarks") on Artist's website and in any Artist promotional materials, solely for the purpose of truthfully informing Artist's fans of the availability of Artist's music via the Services. Artist further shall have the right to provide links to Conquer websites where Artist's music is available . Artists wishing to use the Conquer Trademarks in any other manner on materials that have not been provided to them by Conquer Entertainment may submit such materials to Conquer Entertainment for approval by e - mailing a request to adrequest@conquerentertainment.com . Business cards and stationery do not require pre - approval, provided that all printed materials are of good quality materials, professional done, and properly state the independent status of the Artist . Social network group or page names(for example, Facebook fan pages) do not require pre - approval, provided that the names of groups or pages containing the Conquer Trademarks must also contain the words "unofficial," or "Independent UnLabel Owner." This right to use the Conquer Trademarks shall terminate with the termination of this Agreement . Use of Artist Intellectual Property . Artist acknowledges and agrees that the Services allow Artist to upload Artist's musical compositions (the "Compositions") to the Services, together with sound recordings that embody those Compositions (the "Sound Recordings"). The Compositions and the Sound Recordings shall be collectively referenced herein as the "Works." Artist further acknowledges and agrees that the Services allow Artist to upload audio/visual content that embodies the Works (the "Videos"). For any and all Artist Works and Videos uploaded to the Services by Artist, Artist hereby grants Conquer a worldwide, royalty-free (except as otherwise provided herein), non-exclusive, sublicensable, and transferable license to: (i) reproduce, distribute, publicly perform, transmit, stream, distribute, display, modify, copy and store on computer servers owned and/or operated by or on behalf of Conquer the Works and Videos, and any portion thereof, using any technologies or methodologies now known or hereafter developed; and (ii) allow users of the Services to reproduce, publicly perform, and display the Works and Videos for noncommercial purposes. For purposes of clarification, and without limitation, the right to "modify" granted to Conquer above shall include the right to create "preview" clips of the Works, allowing users to hear a portion of a Work prior to purchase. Artist hereby authorizes Conquer to use and/or display the Artist's name and trademarks(the "Artist Trademarks"), as well as the names, likenesses, photographs, voices, and biographical materials of the Artist or the individual members of Artist, if a band(the "Artist Publicity Rights"), in connection with all rights granted to Conquer Entertainment herein . Artist understands that Conquer may use and display the Artist Trademarks and the Artist Publicity Rights by means of various media, including, but not limited to, audio or video presentations in any format, Conquer promotional materials and/or Internet or intranet websites(including, but not limited to, getconquer . com, conquerblog . com, conquerentertainment . com and marketamerica . com, and other Conquer - affiliated websites) without any further authorization or notice to Artist . If Artist uploads to the Services artwork, lyrics, musical notations, photographs, graphics, or descriptive text associated with the Works(the "Artwork"), Artist grants Conquer the right to reproduce, distribute and display the Artwork . Conquer shall further have the right to authorize its users to reproduce, distribute and display the Artwork for noncommercial purposes . The licenses granted herein shall continue for the term of this Agreement . Notwithstanding any other language herein, as between Artist and Conquer, it is expressly understood that Artist shall be the sole and exclusive copyright holder in and own the Compositions, the Sound Recordings, the Artwork, the Videos, the Artist Trademarks and the Artist Publicity Rights . Artist releases and holds Conquer harmless from any and all liability for damages of whatever kind or nature which may at any time result from the authorizations and licenses granted hereunder, or from the use or dissemination of the Works, Videos, Artwork, Artist Trademarks or Artist Publicity Rights by Conquer or its users as permitted hereunder . Password Security . Artist shall be issued a password for use in connection with accessing and using the Services . Artist's password may be used only to access and use the Services. Artist is solely responsible for maintaining the security of its password. Artist may not disclose its password to any third party (other than third parties authorized by Artist to use its account) and is solely responsible for any use of or action taken under its password. Artist's Obligations and Representations . Artist acknowledges and agrees that it shall bear sole legal responsibility for all content, products, services or other information, including but not limited to music or videos, which it provides to Conquer . Artist is the songwriter and/or owner of any or all of the Works, Artist Trademarks, the Artist Publicity Rights, the Artwork, and the Videos, and has the full right, power, and authority to grant the rights set forth in this Agreement, notwithstanding the provisions of any agreement Artist may have entered into with any performing rights organization or similar organization("PRO"), whether based in the United States(e . g ., ASCAP, BMI, SESAC, Sound Exchange, Harry Fox) or elsewhere, or any music publisher, and that Artist is solely responsible for taking all steps necessary to inform such PRO or music publisher of Artist's grant of the licenses herein to Conquer for the uses set forth herein, and that no fees or payments of any kind whatsoever shall be due to any PRO or music publisher arising out of the uses set forth herein. Proprietary and Trade Secret Information. Artist acknowledges that certain information and material which may be provided to Artist while it is an UnLabel Owner, including, but not limited to, lists and contact information of other UnLabel Owners, financial data, and other matters not made available to the general public and which have been made available to you only because you are an UnLabel Owner, are proprietary and constitute trade secrets of Conquer. You agree not to use or disclose such information and material to anyone except for the purpose of promoting and developing your UnLabel. You further agree not to use or disclose such information and material for the purpose of developing or promoting a direct competitor of Conquer Entertainment (e.g., an online music distribution company which allows artists to distribute music directly to fans). Non-Competition. While you are an UnLabel Owner, you agree that you will not solicit, directly or indirectly, any other UnLabel Owner into any other service offered to a direct competitor of Conquer Entertainment (e.g., an online music distribution company which allows artists to distribute music directly to fans). THE SERVICES ARE PROVIDED ON AN "AS IS" AND "AS AVAILABLE" BASIS WITHOUT WARRANTIES OF ANY KIND, EITHER EXPRESSED OR IMPLIED, INCLUDING BUT NOT LIMITED TO WARRANTIES OF MERCHANTABILITY, FITNESS FOR A PARTICULAR PURPOSE OR NON-INFRINGEMENT. NEITHER THESE TERMS AND CONDITIONS NOR ANY DOCUMENTATION FURNISHED TO ARTIST BY CONQUER IS INTENDED TO EXPRESS OR IMPLY ANY WARRANTY THAT THE SERVICES WILL BE UNINTERRUPTED, TIMELY OR ERROR-FREE OR THAT THE TOOLS WILL PROVIDE UNINTERRUPTED, TIMELY OR ERROR FREE SERVICE. ARTIST ACKNOWLEDGES AND AGREES THAT ANY MATERIAL AND/OR DATA DOWNLOADED OR OTHERWISE OBTAINED THROUGH THE USE OF THE SERVICES IS DONE AT ITS OWN DISCRETION AND RISK AND THAT ARTIST WILL BE SOLELY RESPONSIBLE FOR ANY DAMAGES TO ITS COMPUTER SYSTEM OR LOSS OF DATA THAT RESULTS FROM THE DOWNLOAD OF SUCH MATERIAL AND/OR DATA. CONQUER, AND ITS PARENTS, SUBSIDIARIES, AFFILIATES, OFFICERS, DIRECTORS, SHAREHOLDERS, EMPLOYEES AND AGENTS, SHALL NOT BE LIABLE, UNDER ANY CIRCUMSTANCES OR LEGAL THEORIES WHATSOEVER, FOR ANY LOSS OF BUSINESS, PROFITS OR GOODWILL, LOSS OF USE OR DATA, INTERRUPTION OF BUSINESS, OR FOR ANY INDIRECT, SPECIAL, INCIDENTAL OR CONSEQUENTIAL DAMAGES OF ANY CHARACTER, EVEN IF CONQUER IS AWARE OF THE RISK OF SUCH DAMAGES, THAT RESULT IN ANY WAY FROM ARTIST'S USE OR INABILITY TO USE THE SERVICES OR THE TOOLS, OR THAT RESULT FORM ERRORS, DEFECTS, OMISSIONS, DELAYS IN OPERATION OR TRANSMISSION, OR ANY OTHER FAILURE OR PERFORMANCE OF THE SERVICES OR THE TOOLS . THE LIABILITY OF CONQUER, MARKET AMERICA, INC ., their affiliates, owners, representatives, officers, employees, agents, OR assigns, TO ARTIST SHALL NOT, FOR ANY REASON, EXCEED THE AGGREGATE PAYMENTS ACTUALLY MADE BY ARTIST TO CONQUER OVER THE COURSE OF THE EXISTING TERM . SOME JURISDICTIONS DO NOT ALLOW THE EXCLUSION OF CERTAIN WARRANTIES OR LIABILITIES, SO SOME OF THE ABOVE EXCLUSIONS MAY NOT APPLY TO YOU . Artist agrees to defend, indemnify and hold harmless Conquer, Market America, Inc ., their affiliates, owners, representatives, officers, employees, agents, and assigns against any and all liability, claims, judgments, demands for damages and costs(including reasonable outside attorney fees and costs) arising out of or resulting from the actions or omissions to act of, or verbal or written disclosures or statements made by, Artist or its representatives, members, contractors, officers, employees, agents, assigns or invitees, in connection with the performance of its obligations under this Agreement or any performances associated in any way with Conquer, including, but not limited to claims attributable to breaches of the Artist's express representations and warranties contained in this Agreement, except those which are due to the negligence or the intentional or gross misconduct of Conquer, its owners, representatives, officers, employees, agents, and/or assigns. Artist agrees to pay Conquer's reasonable attorney and expert witness fees and costs incurred in enforcing this Agreement. The following Terms and Conditions apply to UnLabel Owners("ULO's") who have who have purchased a ULO subscription from Conquer Entertainment and who wish to earn commissions based on the purchased made by their fans from Market America or their favorite Internet stores . Legal Capacity . If you are an individual, you are of legal age to enter into legally binding contracts in the jurisdiction in which you become a ULO . If you are a business entity, you are in good standing in the jurisdiction in which you were created, and in all jurisdictions in which you operate . Also, if you are a business entity, the person signing or "clicking through" this Agreement on your behalf has the authority to do so . Acceptance; Right to Sell Products . Market America, Inc . ("Market America") shall accept this Agreement unless it notifies you of rejection within 15 days of its receipt . Upon your execution of this Agreement, you shall have the right to sell the products offered by Market America in accordance with its policies and procedures, which may be amended from time to time . ULO Compensation Plan . You certify that you have familiarized yourself with the details of Market America's ULO Compensation Plan ("ULO Compensation Plan"), a copy of which can be accessed by clicking here, prior to entering into this Agreement, and you acknowledge that the ULO Compensation Plan is incorporated as part of this Agreement in its present form and as modified from time to time by Market America. You agree that Market America cannot make exceptions to the ULO Compensation Plan. Modification. Market America, at its discretion, may amend the ULO Compensation Plan and terms of this Agreement. You or your sponsoring Certified Artist Developer ("CAD") will be notified in writing of any such amendments by official communication from Market America. Your continued participation in the ULO Compensation Plan constitutes acceptance of any such amendment. Termination; Re-Enrollment. Either party may terminate this Agreement for any reason and at any time upon five (5) days written notice to the other party. However, Market America may terminate this Agreement with less than five (5) days written notice for serious violations of the terms of this Agreement. You will receive all commissions accrued under the ULO Compensation Plan prior to termination, according to the schedule provided in the ULO Compensation Plan, even if payment of such royalties will occur after termination. If you terminate this Agreement, Market America will not accept your re-enrollment in the ULO Compensation Plan for a period of one (1) year from the date of termination. Abide by any federal, state, county and local laws, rules and regulations pertaining to this Agreement and/or your Web Portals. Make, execute or file any reports and obtain any licenses which may be required by law or public authority with respect to this Agreement and/or your Web Portals at your expense. Not an Employee. You are not considered an employee of Market America under any federal, state, or local laws, including but not limited to the Federal Unemployment Tax, Workers' Compensation, income tax withholding, or any other federal, state, or local laws . It is your responsibility to pay self - employment, federal, state, and local income taxes as required by law . Trademarks; Advertising . You may not use any Market America trade name or product trademarks except as authorized by Market America in writing . Prior written approval from Market America is required to advertise the Web Portals or Market America products, or to use or produce any literature other than Market America - produced literature, relating to the Web Portals, Market America, or its products . Right to Setoff . If you are in default on payment for Market America products or services, Market America may setoff / deduct the balance due from any commission or other compensation owed to you . Default on payments due for purchases from Market America is grounds for termination of this Agreement . Indemnification. You agree to defend, indemnify and hold harmless Market America, its owners, representatives, officers, employees, agents, and assigns from and against any and all liability, actions, claims, judgments, lawsuits, demands, costs and expenses(including attorney's fees) arising out of, resulting from or in any way connected to (a) the rights conveyed by you or (b) your efforts to promote or advertise your Web Portals under this Agreement, whether occasioned by the actions or omissions to act of you or your representatives, contractors, agents, employees or invitees. You will provide the defense of any and all such actions, claims, lawsuits and/or demands, and will employ counsel who is satisfactory to Market America for that purpose. Non-Waiver. Any failure to enforce any right hereunder shall not constitute a waiver of any right granted herein or existing under North Carolina law. Choice of Law. North Carolina law shall govern any dispute arising out of, or related to, this Agreement notwithstanding its choice of law provisions. Arbitration. Any controversy or claim arising out of or relating to this Agreement, or the breach thereof, shall ultimately be settled by arbitration administered by the American Arbitration Association in accordance with its Commercial Arbitration Rules and judgment on the award rendered by the arbitrators may be entered in a court of competent jurisdiction. You understand that this arbitration provision means you are giving up the right to have any dispute you have regarding this Agreement heard by a jury and determined in a court of law. The arbitration shall be heard by one arbitrator, and it shall take place in Greensboro, North Carolina. Either party may seek emergency or provisional relief in the General Court of Justice, Guilford County, North Carolina, prior to invoking the arbitration remedy. Entire Agreement. This Agreement constitutes the entire agreement between you and Market America. Market America has not made any additional promises, representations, guarantees or agreements to or with you. You agree that you shall not rely on any representation made by a Distributor, whether verbal or written, regarding the terms and conditions of this Agreement, as the basis for a claim of misrepresentation against Market America. No additional promises, representations, guarantees or agreements of any kind shall be valid unless in writing and signed by an authorized officer of Market America.